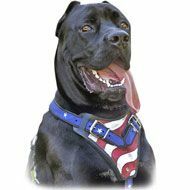 Our Online Cane Corso Store presents wide variety of harnesses for your dog breed. The harnesses we offer differ by the color, size and design and you will definitely find one for your pet, in spite of his age or size. 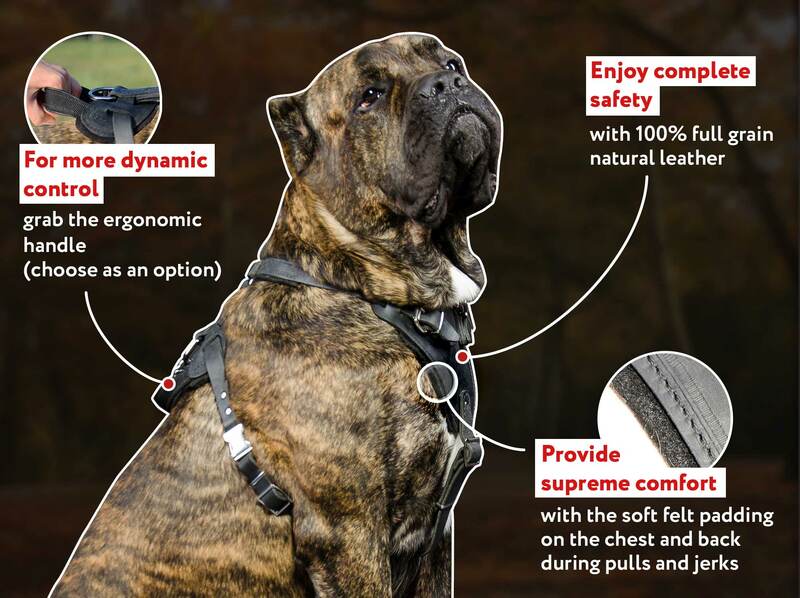 If you need durability and quality guarantees - take a look on leather dog harnesses. 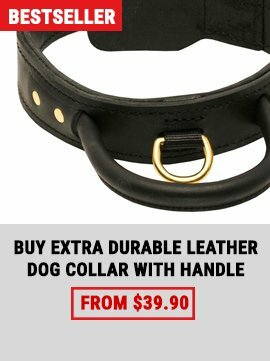 Natural leather is a guarantee of durability that won’t surrender to the power of your pet and will help him to develop his natural qualities. We offer more light and compact, but also high quality dog harnesses. All harnesses are made of high qualitywater and dirt resistant materials. Harness with a soft inner padding will make your pet feel comfortable. 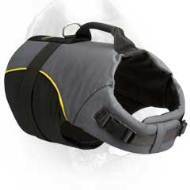 Cozy construction will allow you to put the harness on/off your pet quickly and without any troubles. Sewed reflective straps will become a guarantee of your pet’s safety in urban conditions. Leather dog harnesses are made of the best selected full grain natural leather which guarantees safety for your dog’s health and long term of usage. 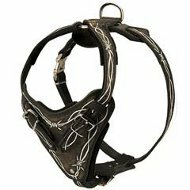 All metal parts of the harnesses are reliable, because they are made of best compounds. There are also exclusive goods such as harnesses forrescuing work, veterinary purposes and so on. We are glad to offer you patented harnesses, that are used by professional dog breeders. Usage of these harnesses will show that you are a professional in a question of dog handling, will help you during work and will help you to express all you love and care. 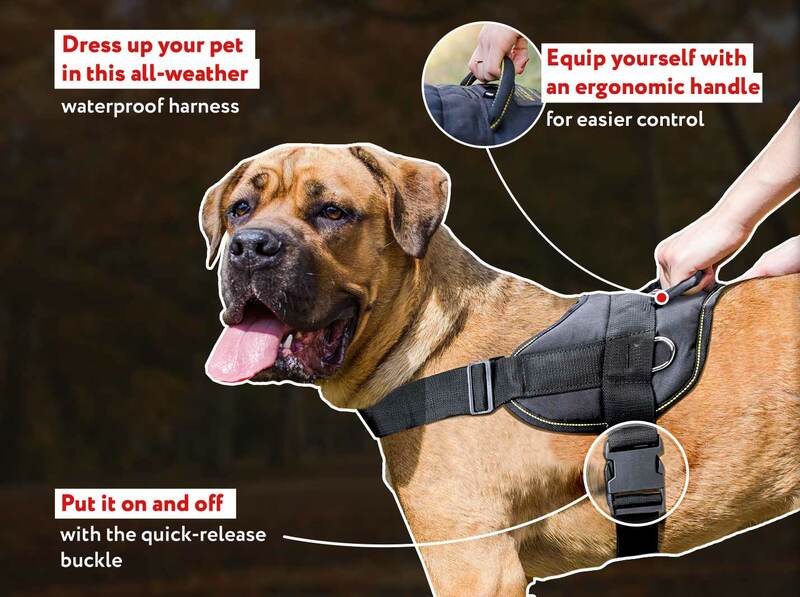 Dog harness is a type of dog equipment that will help you to control your dog better, use him as a sledge dog, will help to develop your dog’s strength and endurance. Today you can find a harness almost for any dog breed. Harnesses are manufactured of various materials: cloth, natural and artificial leather, nylon, velour and others. It is comfortable to use a dog harness that forbids your dog pulling a leash even if he behaves unquiet. 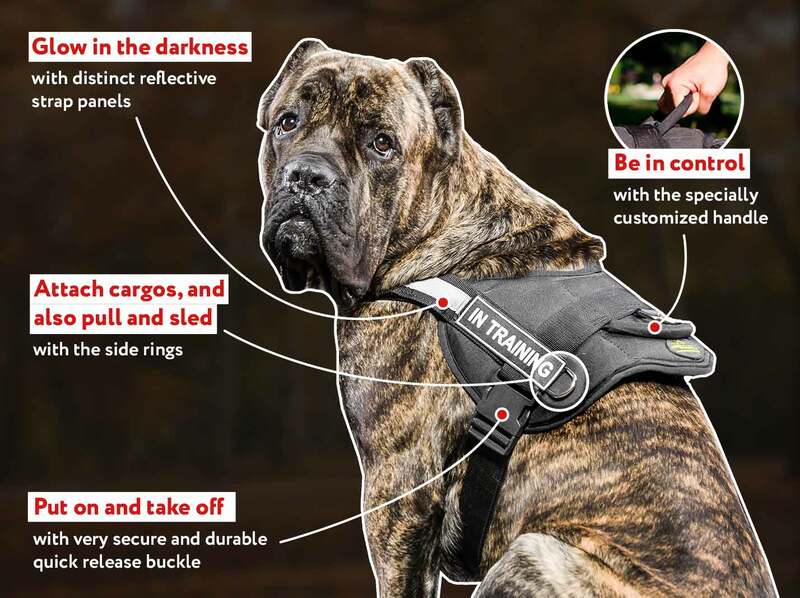 Such harness, if adjusted correctly, will allow even a child to handle a dog of a large breed! 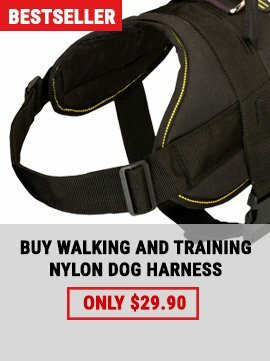 At the same time, a simple walking harness won’t become a solution in a question of walking with aggressive anxious dog. It is hard enough to choose an appropriate harness for your dog, because it should fit your dog tightly and don’t hang down, otherwise the dog may feel uncomfortable and the harness won’t give the necessary effect during training or walking. You should also pay attention to the weight of the harness and your dog’s weight. You shouldn’t save your money by purchasing cheaper harness, because they are made of low quality materials and can cause harm to your dog’s health when they outwear. Choose the degree of the durability of a harness according to your dog’s strength. There are special reflection straps on the latest modelsof harnesses, which will help your dog to become more noticeable for drivers and yourself during dark time of the day. 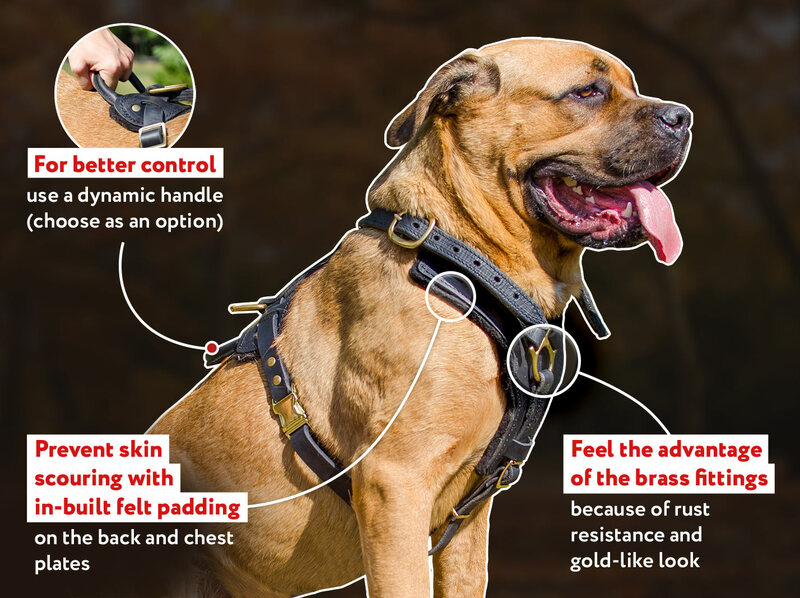 Remember, that it is not recommended to use the harness for a long continuous period of time, because your dog will feel uncomfortable while wearing a collar and a leash after that (it is connected with shift of center of gravity). To choose the material and the form of the harness correctly, you should know and remember of some things. First of all, you should choose for what purposes you will use this harness. 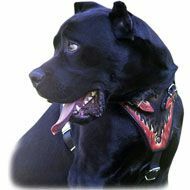 When choosing a harness for service dogs, you should choose leather harnesses with wide straps. Make sure that all metal parts and stitching are made correctly and of high quality materials. If you need a sport harness that will be used in sledging or skiing activities, you should definitely choose one of the nylon models. They don’t have a lot of metal details, they are reliably stitched and they have necessary durability. The main difference from the others is that they have special binding cord. Sometimes, there can be several additional binding elements that can help the dog to work in team. 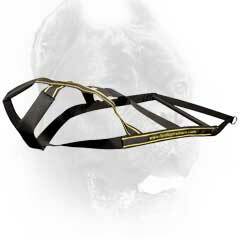 There are special harnesses for muscle building exercises and for sport activities. They are used for short periods of time. You should pay special attention to their durability. You can also find harnesses that allow you to attach additional cargo. They help to develop your dog’s muscles and to restore after traumas. 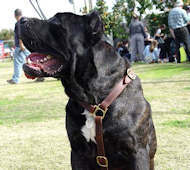 A harness is a necessary thing for dogs that have quite thick necks, such as Cane Corsos have. It is preferred to use harnesses than collars for such dogs, because they will breathe more freely and they won’t have their neck harmed. The harnesses for them are usually made of light materials. It can be either nylon or expensive genuine leather, decorated with studs or spikes. 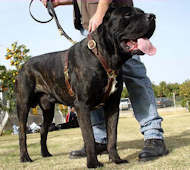 Such harnesses for massive dogs are often sold with a matching color leash. There are also special harnesses that have a specific construction that allows to take the dog off the ground. They are used for the dogs, who move with some difficulties because of traumas, age or some medical procedures. Well, the main criteria on which your choice should depend on are: sphere of usage, dog size, his figure, and the practicability of usage. The price should be on the last place for you, because cheap harness can make not only external harm, but also can lead to deeper harm for your pet. And don't forget that accoring to the regulations and rules dogs have to be muzzled in public places to avoid accidents and traumas. 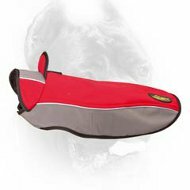 Our aim is to provide you with all necessary dog equipment you need. 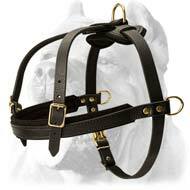 We offer wide rather of muzzles which can pefrectly fit the harness you have decided to purchase. 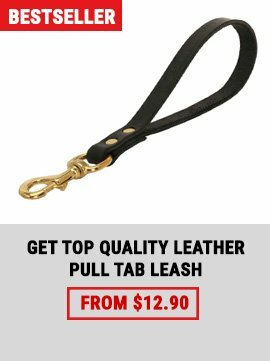 There are leather and metal muzzles which will become reliable, durable and comfortable tool for your pet.